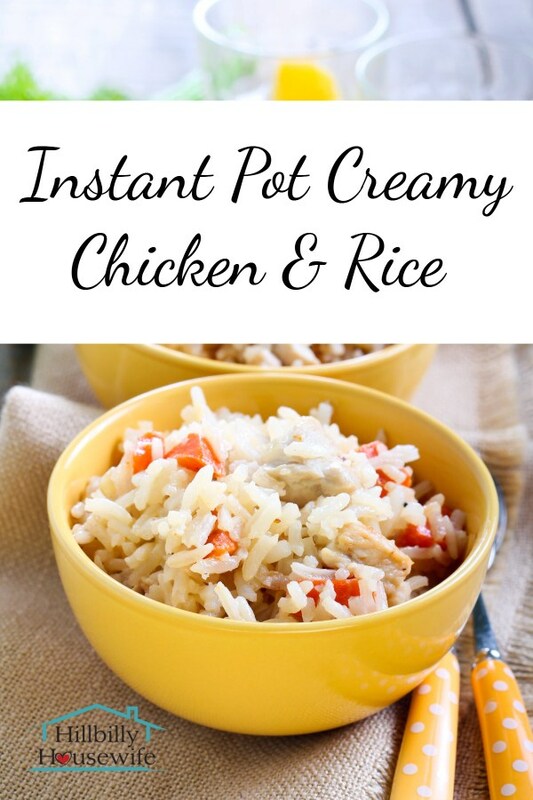 If you’re looking for an easy weekday meal, look no further than this Instant Pot creamy chicken and rice recipe. It cooks up quickly. Best of all, the only clean up is the Instant Pot insert. Make it with your favorite veggies. I’ve made it with carrot sticks as you can see in the images for this post, as well as with broccoli and even green beans. Use whatever your family likes and what you have on hand. 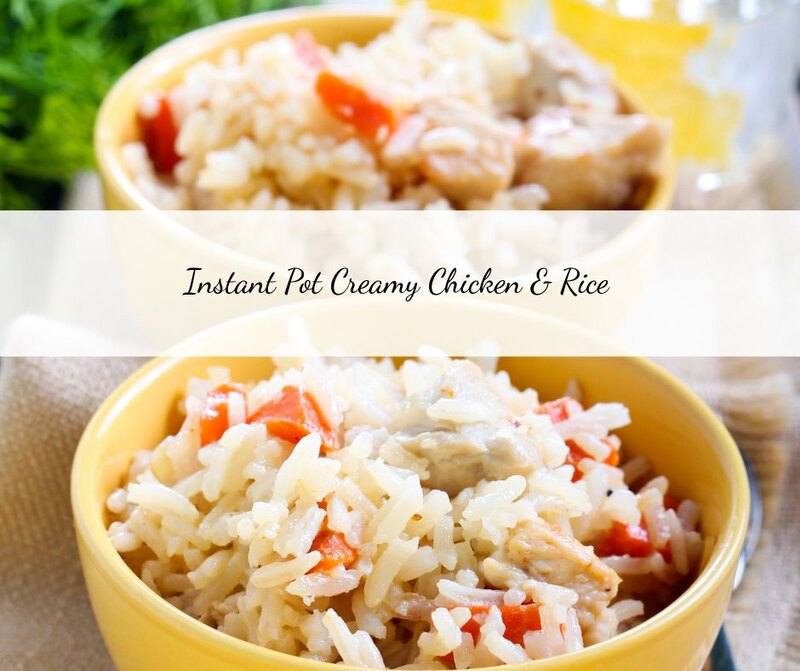 Add uncooked rice, chicken broth. Mix well. Cover and set pressure cooker to cook on high pressure for 8 - 10 minutes. 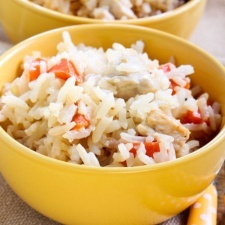 Allow longer if using brown rice. Add your favorite vegetables. We like green beans, broccoli, or carrot sticks. Cover and cook on high pressure for another 2 minutes.